Is it thinking about hunting? Most certainly not. Is it researching it online? Nope. Is it hanging tree stands, scouting, checking trail cameras? If you’re a serious hunter, then probably not. There is one thing though that I can almost guarantee that most hunters don’t do enough of, and that is finding new spots to hunt. If you are a hunter that wants to find the biggest animals around that are mature and a challenge to hunt, then you need ground to hunt them on. Even if you’re an expert shooter, a genius when it comes to scouting animals or the best food plot planter in the world, you can’t generate animals that don’t exist. You have to have big, mature animals around if you want to kill them. Most people don’t own thousands of acres of awesome hunting ground, so we need to resort to finding animals that we want to hunt. To find animals we need to find spots where these animals are at. Most people settle for one spot that they hunt year after year and occasionally shoot something nice that happens to wander through. This is fine, but if you are looking to kill mature animals year after year, you need a backup plan. If you’re satisfied with your spot, that’s great, but you know what? You need new spots in case something happens to your area. You could lose your lease. You could be forced to sell your land. It could get bought and cut down or have a wildfire go through it. You just never know what could happen to your spot, so if things change, it is good to be prepared. If you are one of the people who doesn’t see many large animals in your area, then maybe you’re in the wrong area. Quality bucks are around and you can find them, you just need to figure out where they are. Hunters who hunt the same spots year after year and complain about never seeing big bucks or the neighbors always shooting everything need to do something about it. 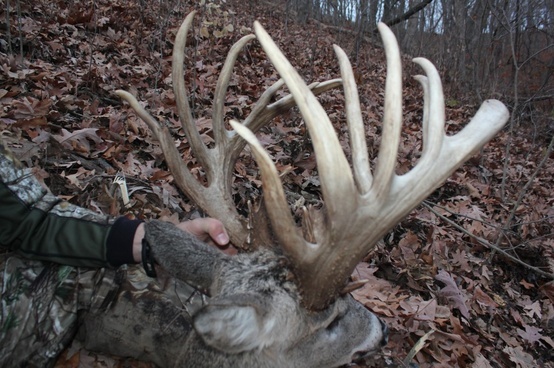 These people can find new, better spots to hunt and they can find bucks there. Finding spots isn’t easy, but if you are willing to put in the work, you can do it. Public land, general hunting open to the public on private land and leasing are all good options. Look on Craigslist, ask around and figure out where you can go where big bucks are at. Don’t be like the rest of the hunters out there, be the one that finds the new spot and kills the biggest buck. Year after year. Read more deer hunting articles.